The Huron County Juvenile Court handles traffic cases involving persons under the age of eighteen who reside in Huron County, Ohio or whose violation occurs in Huron County, Ohio. You will be notified by mail of the date you will need to appear in court. The court accepts payment by cash, check or money order. Checks or money orders should be made payable to the Huron County Juvenile Court. Generally, court costs are a minimum of $96.00 for a moving violation and $67.00 for a non-moving violation. If you go to trial, there may be additional costs incurred for subpoenas, witness fees, etc. These fees are in addition to the minimum of court costs. Such fees and costs are ONLY assessed in the event you are found to have committed the traffic violation. The maximum fine in a juvenile traffic cases is $50.00; sometimes, all or part of the fine is suspended. Enter your denial plea in writing prior to the date and time specified in the notice you receive from the court. This is normally done by an attorney. Based on the denial plea, the court will set a trial date and will notify you by mail or your court date. All requests for continuance must be made in writing. You can find a motion for continuance in the Juvenile Section in the Pro Se Section of our website. Proof of insurance for the vehicle and driver for the date shown on the ticket, if you did not show proof to the officer at the time of the traffic citation. Adequate funds to pay for possible fines and costs. A trial is a proceeding in which the prosecutor will try to convince the court that you have committed the traffic violation for which you have been charged. The prosecutor must prove this beyond a reasonable doubt. You should arrive at court fifteen (15) minutes prior to your scheduled appearance time. Check in at the juvenile clerk’s office. Please do not bring any other children to court with you, unless they will be called to testify. The 4-H Carteens Program is a driving program the court uses for first time juvenile traffic offenders. The class is held one day each month on Tuesday evenings from 6:30 PM until 8:30 PM at the Huron County Administration Building, 180 Milan Avenue (Room A), Norwalk, Ohio. The child and his/her parent must attend one (1) two hour class. The fee to participate in the Program is $50.00 per offender. Parents are not charged for their attendance. At the end of the session there will be an examination given which each youth must pass in order to successfully complete the program. The Juvenile Driver Intervention Program is an approved Ohio BMV Juvenile Remedial School. The court uses this program for second and third time juvenile traffic offenders. The class is a six (6) hour program held two days each month in the evenings from 6:00 PM until 9:15 PM at the Norwalk Police Department, 37 N. Linwood Ave., Norwalk, Ohio. The child’s parents are not required to attend classes with the child. The fee to participate in the Program is $51.00 per offender. 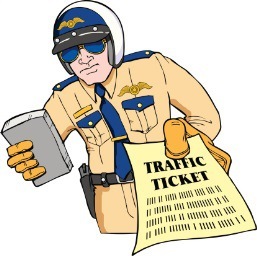 A court may impose a suspension for traffic violations; the length of the suspension is determined by the court. A probationary OVI suspension is caused by the conviction of a driver with a blood alcohol concentration (BAC) of .08 percent or higher who was under the age of 18 at the time of the offense. An individual is convicted of or pleads guilty to committing two separate moving violations prior to his or her 18th birthday. An individual is convicted of or pleads guilty to committing three separate moving violations prior to his or her 18th birthday.